SilverFire has evaluated numerous solar cookers. 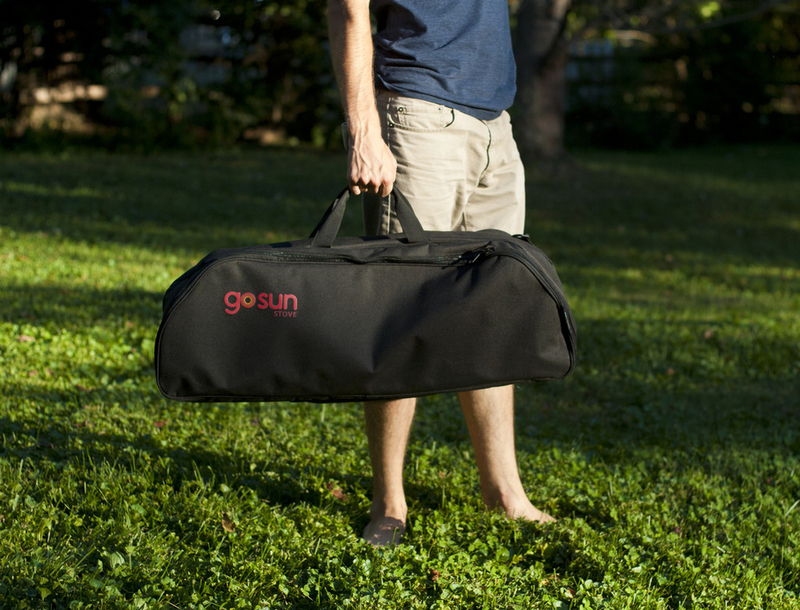 We offer the Go Sun Sport Pack, but have limited inventory left. The Go Sun Sport Pack, easily transported and most importantly it is simple to adjust to maximize solar cooking efficiency and rapid cooking. This solar cooker can achieve the rapid cook times, like other solar tube designs. We have found non adjustable solar products decrease thermal efficiency and significantly extend cooking duration. The Adjustable Go Sun Sport Pack maximizes solar cooker positioning. The adjustable panels insure that you are achieving optimal solar cooking efficiency and maximizing thermal efficiency. Simply stated, the Earth rotates around the Sun and solar cookers require adjustment to maximize thermal cooking energy. 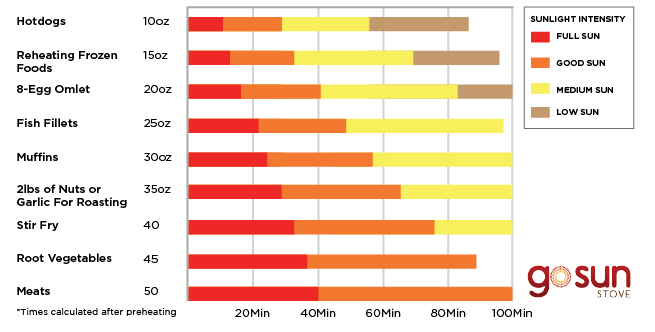 Normal standard solar window cooking periods are not relevant with solar tube cookers, due to hotter temperatures achieved and faster cooking times. 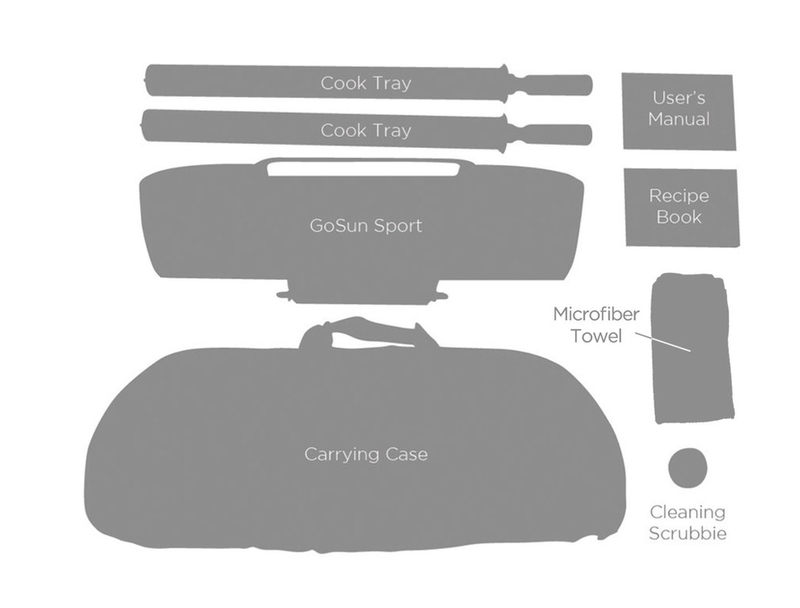 The GoSun Sport Pack package includes a durable borosilicate, evacuated glass tube cooking chamber, two foldable parabolic reflectors that protect the tube like a clamshell, 2 stainless steel cooking trays with handle for getting food in and out, a rugged cleaning scrubby (attaches to the end of the tray, to double as cleaning tool), and a carrying handle that unfolds to become a set of support legs, which can be used to adjust the tube to face the sun in any position along two axis’, and carrying case. One of our ultimate goals is to demonstrate and train how solar cooking technology works and how this type of technology can better the lives of families everywhere. Understanding the various GoSun physical science principles helps new solar chefs understand what it takes to harness the power of the sun, and create some serious cooking power. To get up to cooking temperatures from the sun, you are going to need to concentrate or gather a lot of sun. Using mirrors and other reflective surfaces, we can move the sun’s rays around and increase their intensity onto a specific surface. By using aluminum foil, Mylar, or mirrors, solar ovens basically multiply the amount of sun on a cooking chamber to boost its efficiency. There are many ways to manipulate sun rays before directing them to strike and absorbing surface to be heated. We carefully crafted the GoSun’s reflectors to accept sunlight coming in from many angles while still being directed onto the tube. 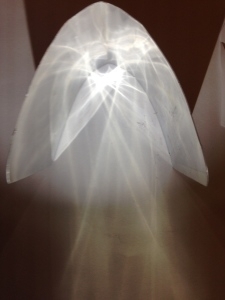 Examine your GoSun’s reflectors and see if you can make out any images; your eye’s rays should see your tube reflected just as the sunlight’s rays. It’s not easy to accumulate enough heat. to cook with the sun so you’re going to need to hold onto the heat you can generate. There are many types of insulation or heat retention materials that basically create a dead air space so the heat cannot be conducted with ease. Glass is not a good insulator and the problem with most solar ovens is that the heat rises out the top where a single layer of glass does little to hold the heat inside. Ray Tracing is a “method of calculating the path of waves or particles through a system of regions by varying propagation velocity, absorption characteristics, and reflecting surfaces.” Many conditions and surfaces complicate the analysis because waves and rays tend to bend, refract, and reflect off surfaces. A good, everyday example of the complexity of ray tracing happens with cellular phone signals as we drive through mountains. 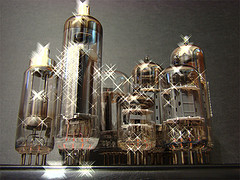 In the 20th century, vacuum technology became an important development with incandescent light bulbs and vacuum tubes for various technical applications, such as TV’s and radios. Outer space is an even higher quality vacuum, producing conditions that have raised awareness about the impact of vacuum properties on human health. The GoSun Stove utilizes an evacuated tube; this is essentially a vacuum sealed between two layers of tough glass. This vacuum allows the tube to act as a tremendous insulator, keeping your food or liquids warm, just like a Thermos, even in harsh conditions. 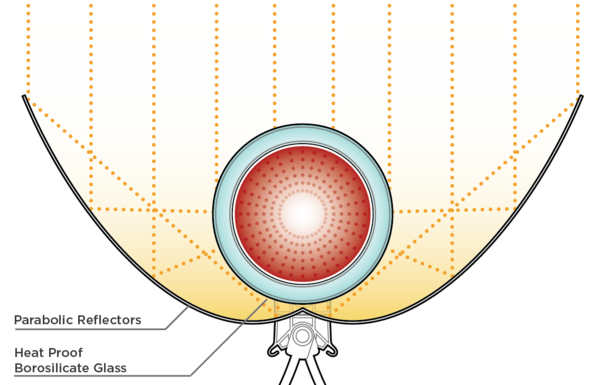 According to NASA, thermodynamics is “the study of the effects of work, heat, and the energy on a system.” These principles are fundamental to successful solar cooking. One type of heat transfer is when the objects are in direct contact with each other. When an object is heated, the particles move faster and bump into nearby particles and transfer the energy to those particles. This happens inside your GoSun Stove’s cooking chamber when the heat from the warmer tube that’s been heated by sunlight passes into the cooler cooking tray and food, changing the internal energy of both of systems involved. Different types of materials conduct heat better than others, for example metal is better than wood; we chose to use stainless steel. This happens in liquid or gas matter that transfers heat from the hotter areas to the cooler areas. When warm air or liquid rises, the cooler parts sink; causing a continual circulation pattern or “convection currents”. Can you imagine the air’s convection path through the GoSun Sport? The most powerful of all heat transfers happening with the GoSun is via radiation. Radiation is not often thought of as heat, since it is defined as the emission of energy as electromagnetic waves, but infrared radiation is the main force within the GoSun and good old Sunlight is the radiant fuel. Bright sunlight provides an irradiance of just over 1 kilowatt per square meter at sea level. Of this energy, 53% is infrared radiation, 44% is visible light, and 3% is ultraviolet radiation. These principles are also critical to the function of the evacuated tube’s specific coatings for generating and retaining heat. The efficiency of the GoSun Stove is currently being tested, but is estimated to peak out around 80%. That means 80% of the infrared, visible light and ultraviolet radiation from the Sun is turned into heat inside the tube’s chamber. This is a process by which thermal radiation from our planet’s surface is absorbed by greenhouse gases and then re-radiated in all directions rather than escaping into outer space. 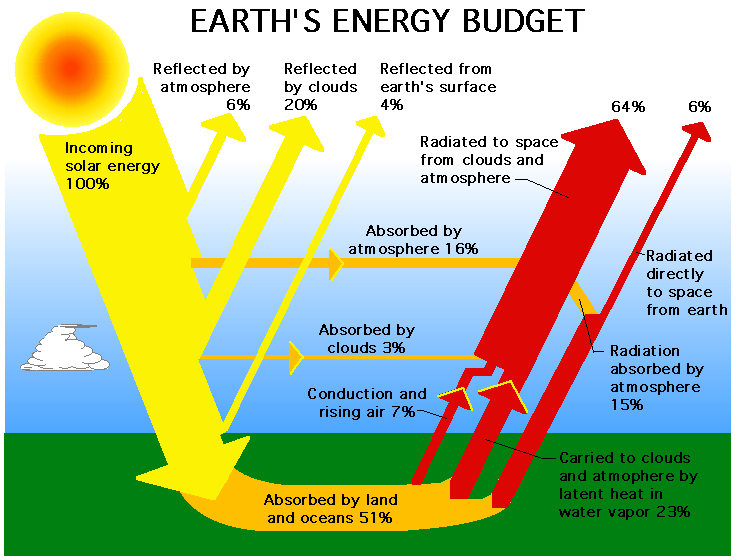 The gases migrate into the atmosphere and they get trapped and then continue to radiate heat to the lower atmosphere. 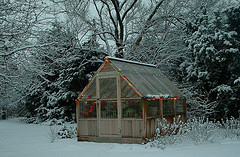 This is similar to how the glass around a greenhouse lets the light in but doesn’t let the heat back out. SilverFire has found many solar cookers to choose from. The commonly available commercial cookers are among the very best solar cooking designs. As a group, they are more powerful and more durable than home made cookers. Making your own cooker is fun and educational - but making a really effective cooker is not easy. If you plan to have solar cooking as part of your daily routine, or as part of your preparedness plan, a commercial solar cooker is a wise investment. But which do you choose? Highest temperature? Greatest capacity? Cost? Durability? Weight? Product? Of this brief list, product is by far the most important. What all solar cookers want is an appliance that will provide the most solar cooking opportunity an the greatest amount of product (cooked food or safe water) on any given solar day. To produce the most product the cooker must achieve strong temperatures, ample power (this is a function of size) and adequate duration. If size and temperature are similar, then the most important feature will be duration. Duration trumps every other factor because if the design cannot provide heat and capacity for an adequate period of time, it will not serve. The quantity of product is the sole best criteria for choice. The top producer, regardless of cost, will always be your best choice. 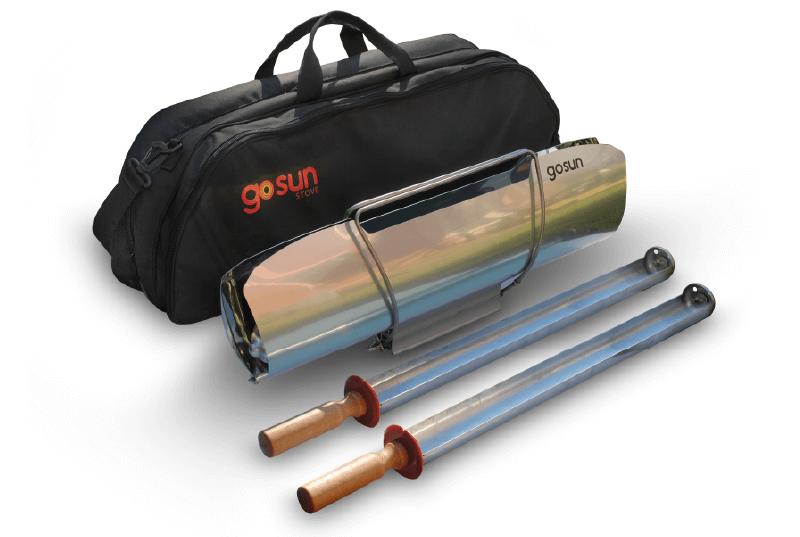 The Go Sun Sport Pack is not the most efficient and quickest solar cooker on the market. Numerous evacuated tube cookers are available. The key advantage using the Go Sun Sport Pack is less time and and attention is required to heat and monitor (less surface area to heat) your meals with a low volume tube cooker. This is in contrast to non-adjustable solar cookers, or large bulky box cookers, that have a single large plastic or glass top that covers the entire solar cooker surface, this requires more energy and longer duration cooking requirement times, due to the greater surface area required to heat. In the summer or winter setting your Go Sun Sport Pack means rapid fast solar meals! The following short video illustrates the "Jamb", which is the appropriate technique to maximize or increase the volume of your meal, due to fact Go Sun Sport has limited food volume capacity. The GoSun is tough. It's designed to be able to quickly fold up and take with you... wherever the sun shines! It will withstand normal use day in and day out. Normal use consists of unfolding the legs, adjusting reflector base, tons of cooking, sliding the tray in and out, folding the cooker back up when done, and taking it on the go. We cannot guarantee the GoSun will survive if you drop it out of an airplane and into a pig pen -- but otherwise you should be good!! The cooking tube is made of borosilicate glass, which is much more durable than the type of glass many people use in the kitchen daily. Of course you do not want to thermal shock to glass tube and pour cold water into heat glass. Please use common sense. As a part of our limited warranties, the GoSun glass cooking tube is covered for two years. So if the tube breaks, Go Sun claims they will provide you with a new one free of charge - you only pay shipping. For extra protection, the GoSun Pro Pack comes with a GoSun carrying case - which can fit your GoSun Sport cooker, plus an extra cooking tray, spork, and other accessories.